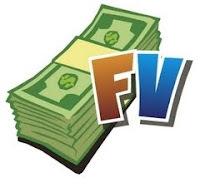 Change the Scan Type to "String/Text"
Scan "Coins" and change the value to "Farm Bucks"
Then, New Scan "Farm Bucks" and change all the value to "Coins"
This is to avoid the game from crashing when you buy the cash items. All scans will be "String/Text"
Note: Download the entire cheat file from the link above if you have problems Copying the text here. 2. Buy 'Scrubby Shrub' (cost 25 coins) from decoration section in market and put into your farm as much as you want.Put it on the ground. 3. Now scan in CE "e_deco_shrub_round" and change it to "e_viral_quiltscrap"
3. Now scan in CE "e_deco_shrub_round" and change it to "e_viral_barbedwire"
3. Now scan in CE "e_deco_shrub_round" and change it to "e_viral_canningjar"
3. Now scan in CE "e_deco_shrub_round" and change it to "e_viral_geargrease"
2. Buy 'Concrete Sundial' (cost 25000 coins) from decoration section in market and put into your farm as much as you want.Put it on the ground. 3. Now scan in CE "e_deco_sundial_stone" and change it to "e_viral_milkingstool"
2. Buy 'Red Backyard Umbrella' (cost 4000 coins) from decoration section in market and put into your farm as much as you want.Put it on the ground. 3. Now scan in CE "e_deco_bbq_umbrella_red" and change it to "e_viral_enchantedcarrot"
3. Buy 'Goat Topiary' (its now free) from decoration section in market and put into your farm as much as you want.Put it on the ground. 4. Now scan in CE "e_deco_topiary_goat" and change it to "e_viral_chickenwire"
4. Now scan in CE "e_deco_topiary_goat" and change it to "e_viral_propanetank"
4. Now scan in CE "e_deco_topiary_goat" and change it to "e_viral_rhinestones"
3. Buy 'Stone/Rock arch' (its now free) from decoration section in market and put into your farm as much as you want.Put it on the ground. 4. Now scan in CE "e_deco_arch_rock" and change it to "e_viral_flypaper"
4. Now scan in CE "e_deco_arch_rock" and change it to "e_viral_bandanas"
3. scan with CE "e_deco_ranchhouse" and change "e_viral_pitchfork"
4. and enter the "noble land harvEstate" (ranchhouse) into iventory. 3. scan with CE "e_deco_arch_rock" and change "e_viral_chainsaw"
4. and enter the "stone gate" (rock arch) into iventory. 2. Buy 'Red Adirondack' (red chair , cost 900 coins) from decoration section in market and put into your farm as much as you want.Put it on the ground. 3. Now scan in CE "e_deco_bbq_chair_adirondack" and change it to "e_resource_feed_bag_pack_25"